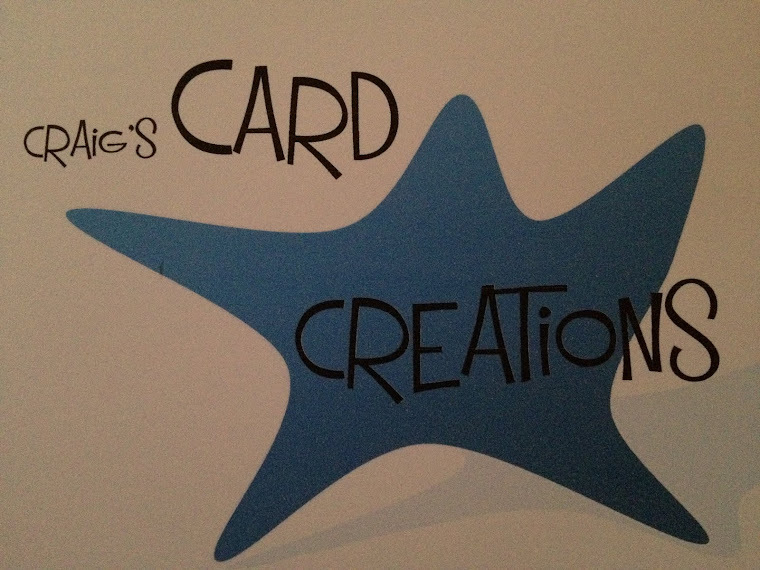 Crafting With Craig: Summer Dreaming A5 card. Hello, thank you for coming across to have alook at my blog post. What gorgeous weather it has been, can't say it's been over the weekend but during the week had been gorgeous. I managed to catch some of the sun while being in the garden and getting the grass cut etc. 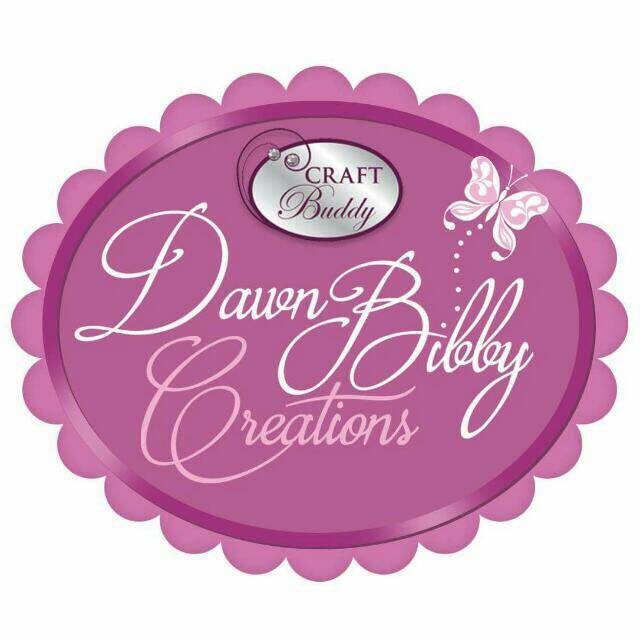 it doesn't take long though before the crafting itch starts and I need to get in my craft room and get making. The Sea Blue is a gorgeous bright summery day blue. It reminds me of a delicious Blue Berry slush puppy that I really do enjoy on a hot summer day. 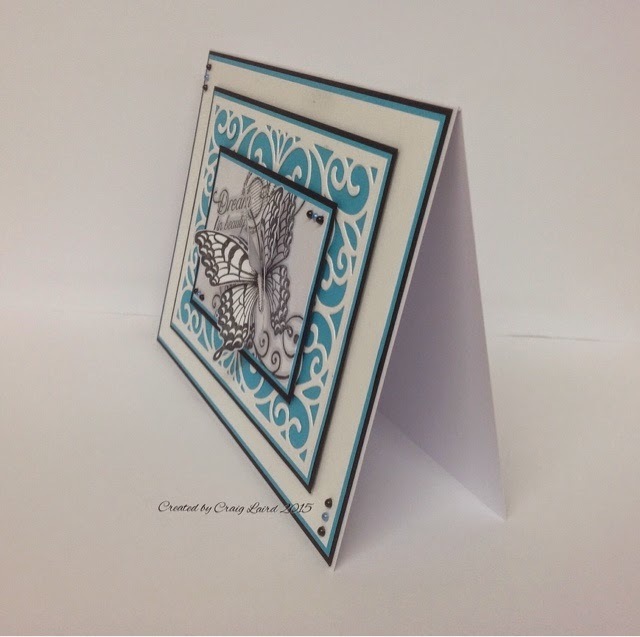 Being a bright colour, it will mix perfectly with other bright card, but it equally goes well with White and Black. The White is used as the base background colour and used my Sue Wilson background die to create the background. So far, with all dies Iv tried, PMD card stock cuts beautifully wirh the dies and iv never had any problem. With the Sea Blue shining through the die cut elements aswell as just slightly popping out the sides with the matting and layering the combination of them both really draws your eye in. Then create a slight black outline using the black card, really helps to lift the whole design off the page. When it comes to the stamp, which has been stamped onto White Supersmooth card. I havnt coloured it. I stamped the image off the page but ensuring I tried to keep as much of the butterfly design on the card as possible. 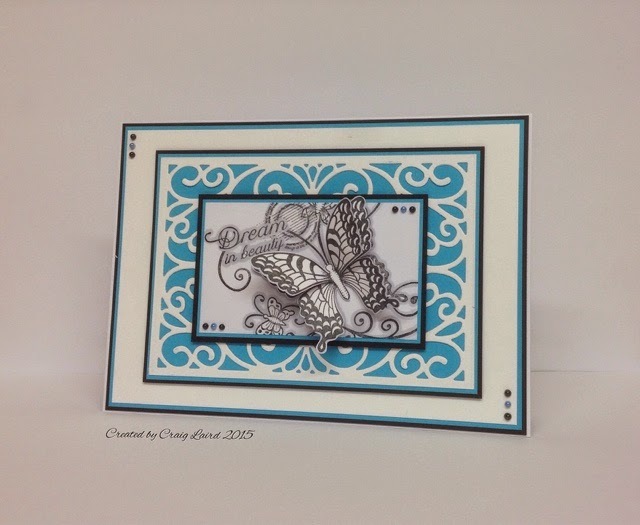 I then re-stamped the butterfly several times on to additional pieces of Supersmooth and then cut the butterfly out creating a decoupage image. Then I simply drew round the whole of the design with a Grey Chameleon pen and added a few blue and black pearls to finish off the card. You could add a sentiment of you wanted, But I feel there's no need. White card Supersmooth - 300gsm. 12mm red ultra clear tape - S57091. "Dream in beauty" red backed stamp HCPC3655 - Heartfelt Creation. Blue and black 3mm pearls - Mei Flower.